Movember Competition Entry from Gary Ruming! 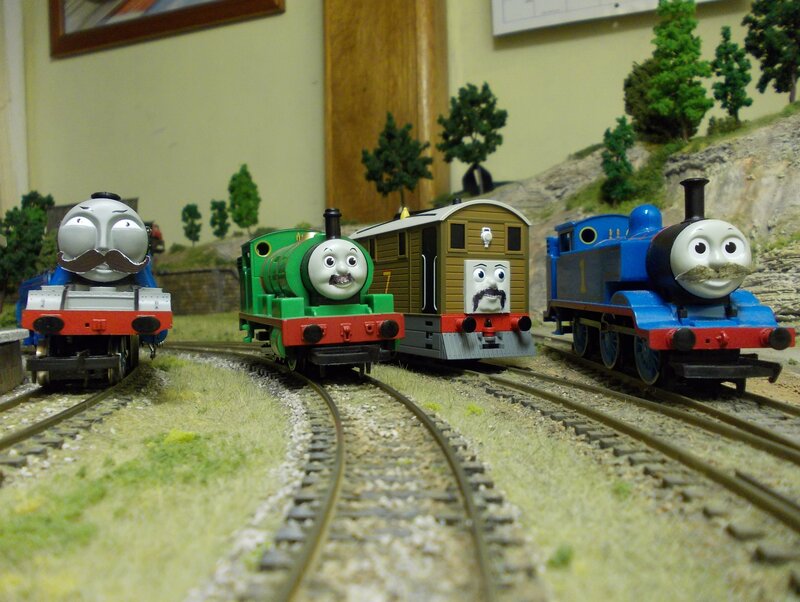 Our second Movember competition entry comes from Gary Ruming who has delightfully captured Gordon, Percy, Toby and Thomas the Tank Engine, all with Mustaches! 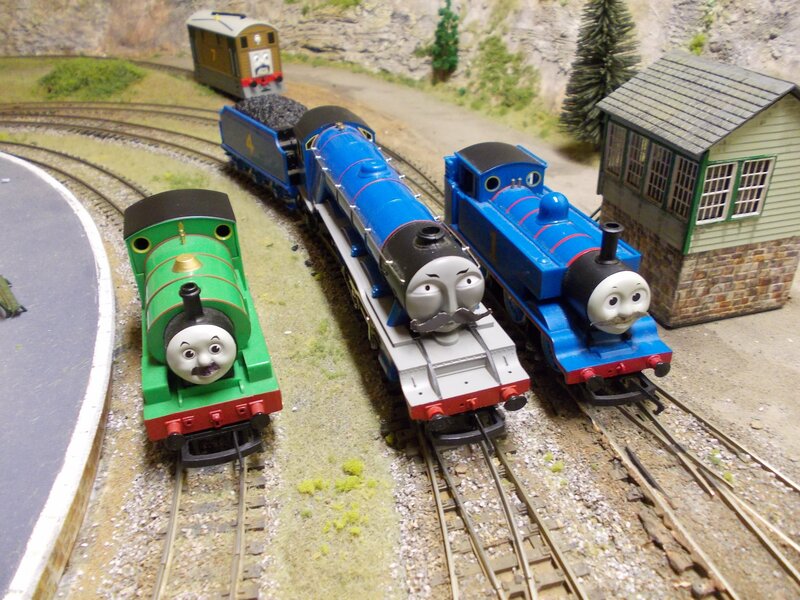 The locomotive’s are on ‘Jack’s Corner’ a layout built by Gary for his son. More pictures of this fantastic layout can be viewed on Your Model Railway Club (YMRC) or on RM Web. Note that YMRC can only be accessed by members and new members are always welcome! Many thanks to Gary for sending these fabulous entries in and for donating to the Movember cause. To find out more about how you can take part, please click here. 19/11/2013 in Competitions, Movember 2013. Movember 2012 entry from 5029 Tom!